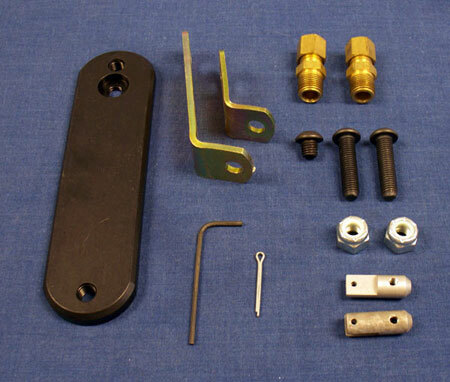 This Briggs Animal throttle linkage kit bolts to plastic cover or control plate. Its anodized black w/ zinc coated steel end brackets. Clevises, wrench, brass fittings and all hardware included. 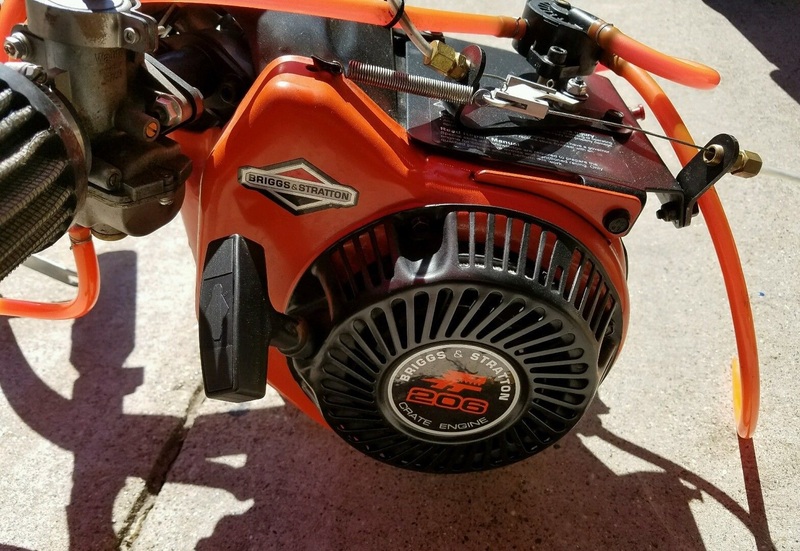 Throttle cable and plastic line not included.